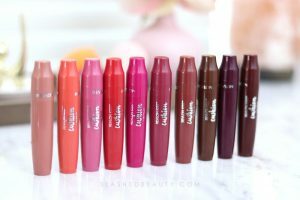 When Rimmel’s The Only One Matte lipsticks launched overseas at the end of last year, I was pretty jealous. I’m like… why does Europe get all the cool releases first!? But, I don’t have to be bitter any longer because they just landed here in the US and they’re everything I dreamed they’d be! The Only 1 Matte lipsticks may be, well, the only matte drugstore lipsticks you’ll ever want to use. 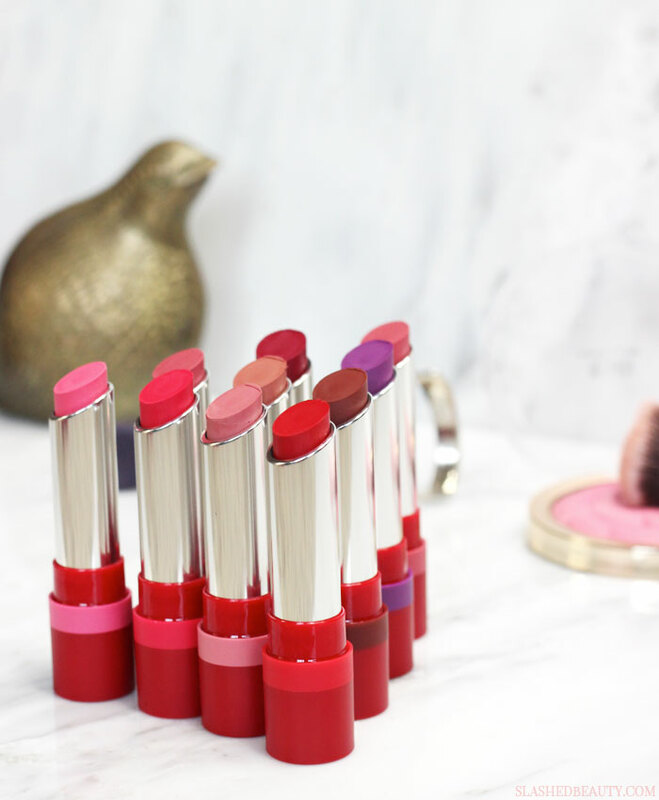 With ten shades in the collection, Rimmel served us a range of neutrals, reds, pinks and even a punch of purple. You can see the shade on the outside of the tube, which is very convenient when searching through your collection. 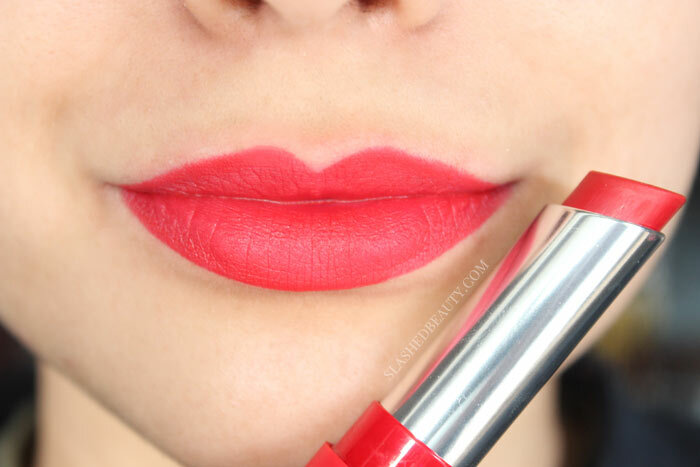 You can spot the difference between these and the original The Only 1 Lipsticks because of their matte red tube. 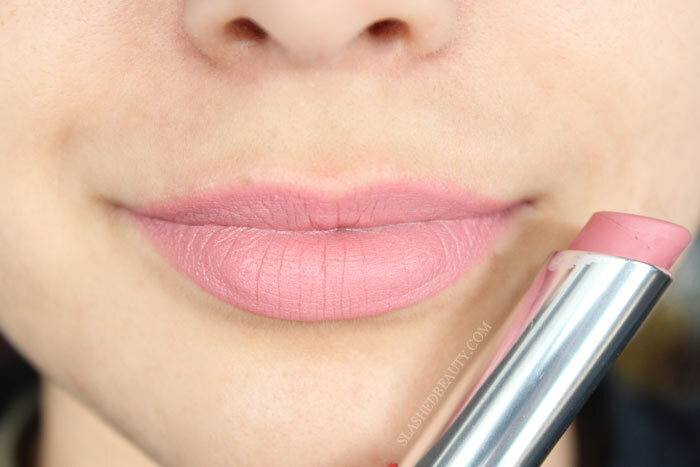 Trendsetter is a beautiful neutral your-lips-but-better shade. High Flyer is a rosy blush pink. Salute is a ballet slipper pink. Leader of the Pink is a spring-ready baby pink. Keep it Coral is a true coral– a yellow toned, bright pink that makes a statement. Call the Shots is a punch pink. 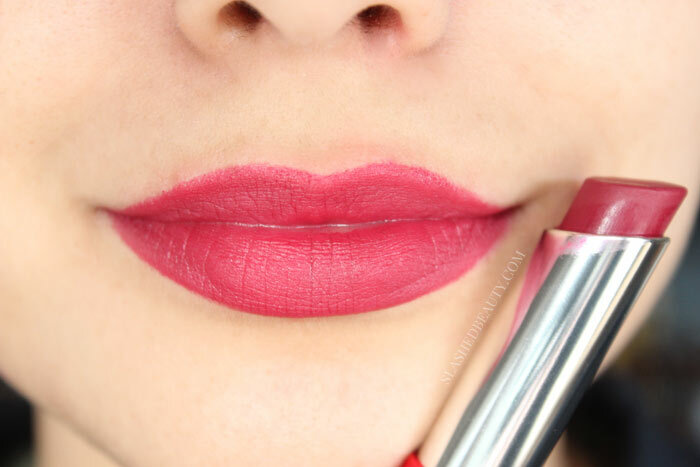 The Matte Factor is a pinky red that’s almost berry. Take the Stage is a classic hot red. 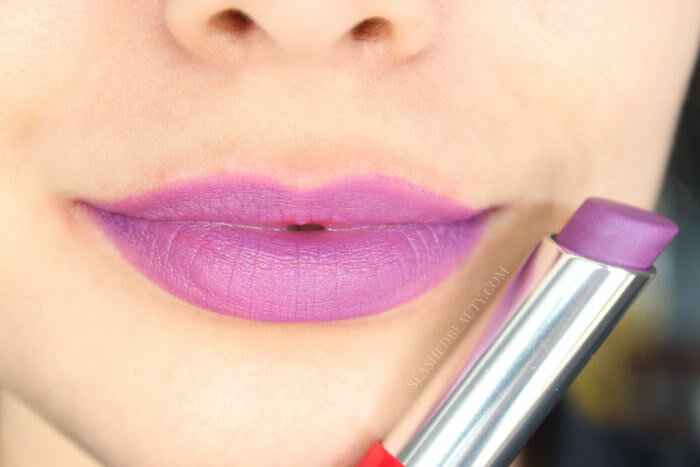 Run the Show is a beautiful and unique lilac shade. Look Who’s Talking is a warm terra-cotta brown. The Only 1 Matte lipsticks boast high color payoff with a velvet matte finish and long lasting wear. Right off the bat, the initial quality that surprised me was how easily the lipstick glided onto the lips on the very first wear. 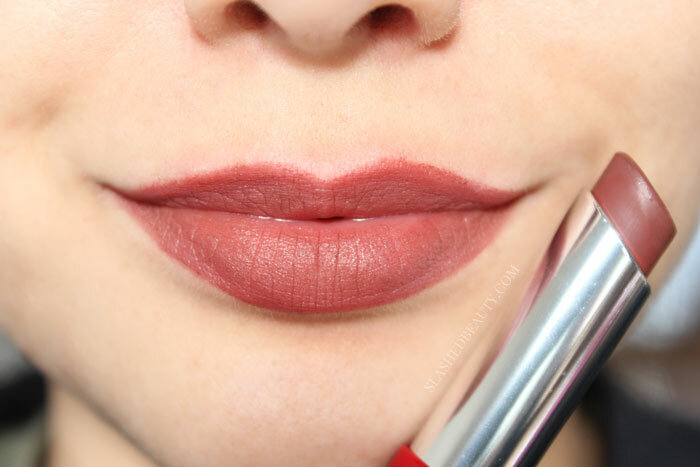 Usually with matte lipsticks, especially when using for the first time, you have to warm them up so that they don’t drag and skip on the lips. These applied smoothly from the get-go, which was a big plus in my book. These are all swatched with only one to two layers of the color, as the formula is pretty pigmented on just one swipe. 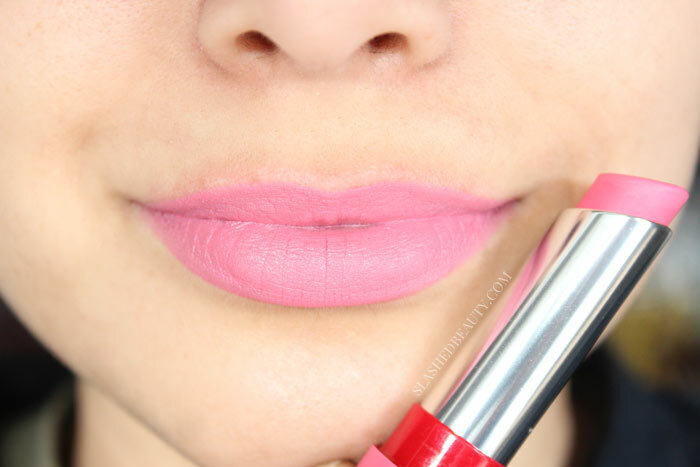 It’s also a thinner formula, which I haven’t found in a lot of other matte lipsticks before. 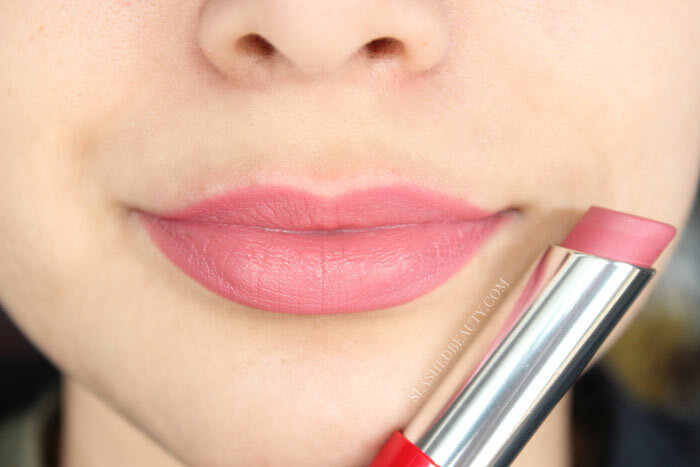 It truly feels weightless on the lips like I’m not wearing anything at all. Because of that, it dries down pretty fast (you can help it look matte faster by blotting once on a tissue) and you’re left with a velvet matte finish very close to flat matte. 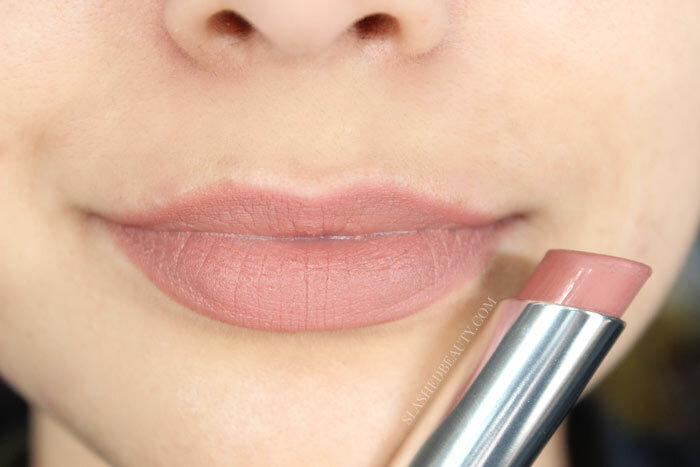 Some shades look more “flat” than others, but these are the closest to a true matte finish that I’ve found in all of the latest matte lip releases at the drugstore that aren’t liquid. 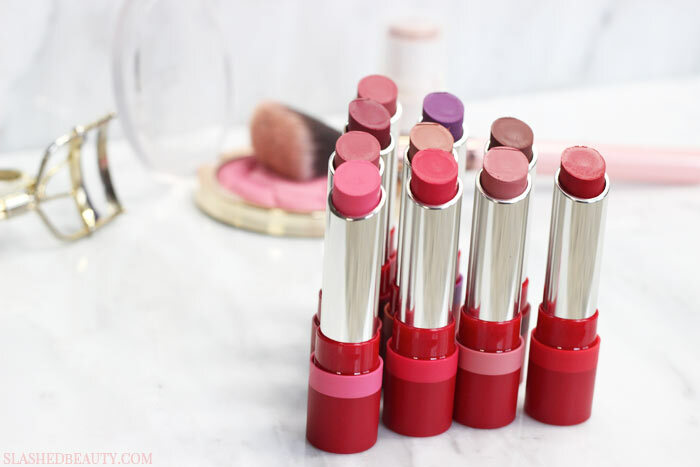 The wear time on these lipsticks are pretty good— I can get through one meal without having to reapply as long as it’s not too oily. There’s hardly any transfer onto cups when drinking, and I can get a solid 6-7 hours of wear with no touchups. These are also incredibly comfortable to wear all day. As I mentioned, they’re weightless but also moisturizing and I didn’t even have to exfoliate my lips prior to application to make them look and feel amazing. I will say though, that they are heavily perfumed. It’s bearable for me, but still pretty strong– so if that’s something you’re sensitive to, I might suggest passing. 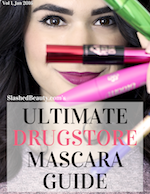 Rimmel The Only 1 Matte lipsticks are starting to roll out to drugstores near you for about $7 each. The only place I’ve seen them online so far is Walgreens. 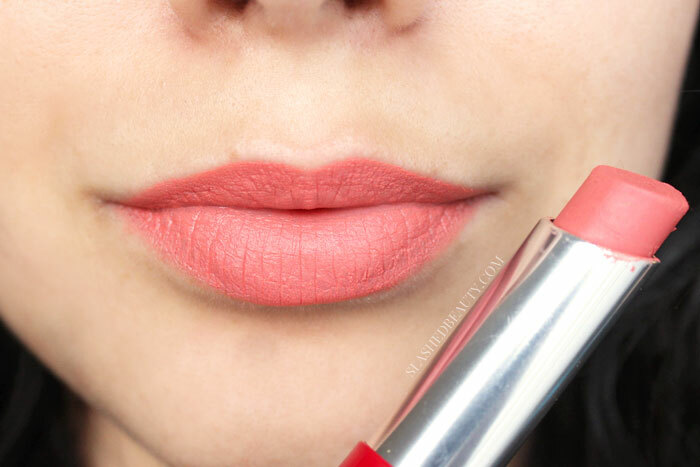 Have you spotted or tried these new matte lipsticks? What does it smell like? Is it chemical or matal like?is it pleasant or not? 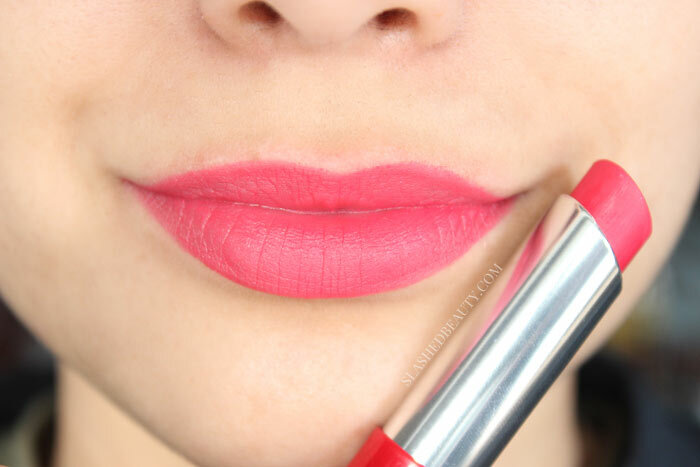 Have you tried the keep it coral 600? Noo! I’m still waiting for it in the mail. Trying to find it in stores just so I can buy and swatch it but haven’t been able to anywhere near me!